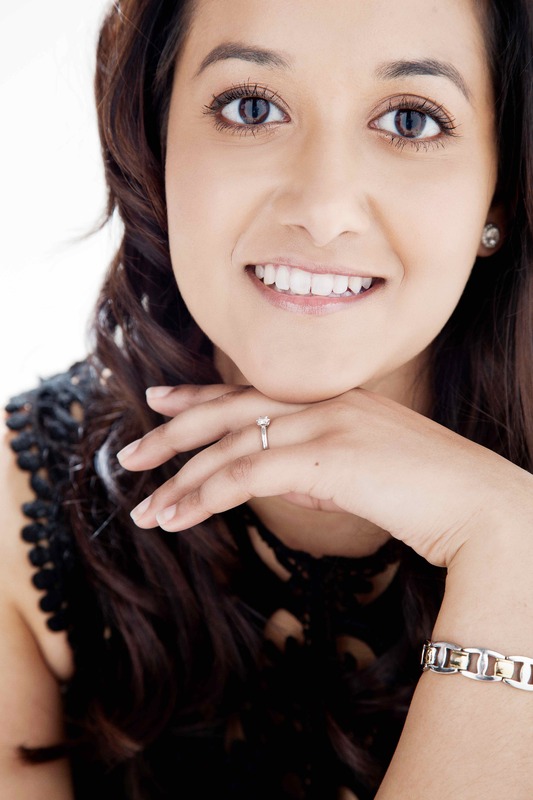 When I first got in contact with Sydney bride, Anahita back in Ireland, I was over the moon. 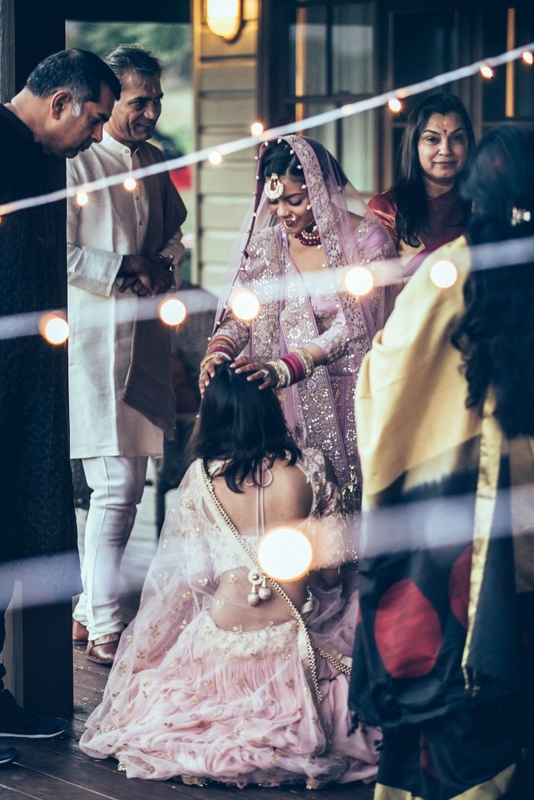 Firstly, little did I know that she would be the first bride to ask me for advice and secondly, despite being miles apart, we had so much in common and became really good friends whilst communicating with each other over email and phone messages. 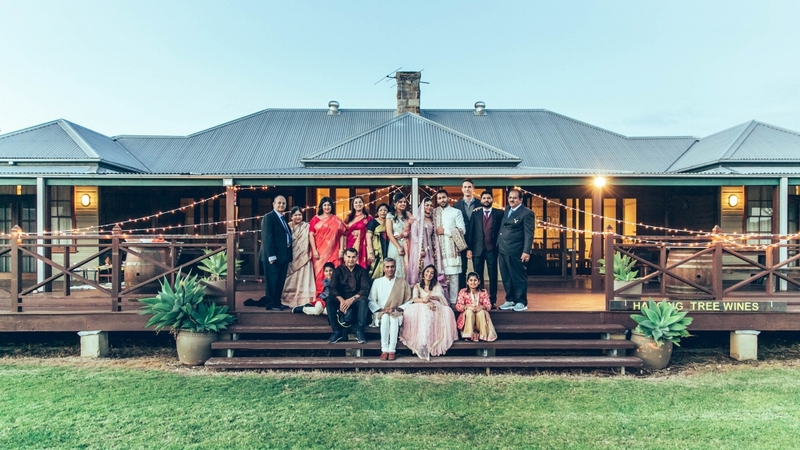 Fast track to 2018 and here we are featuring her gorgeous intimate winter wedding in the Hunter Valley region of New South Wales. 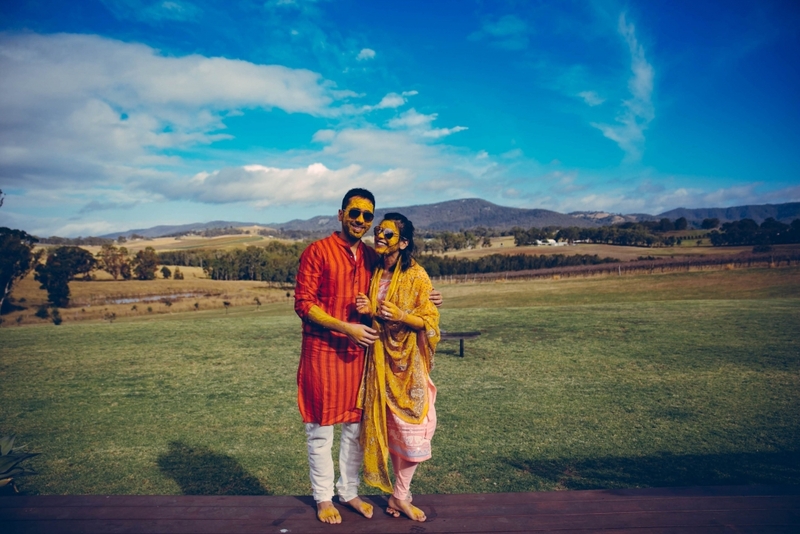 Anahita and Shishir met as the both of them were working in India. 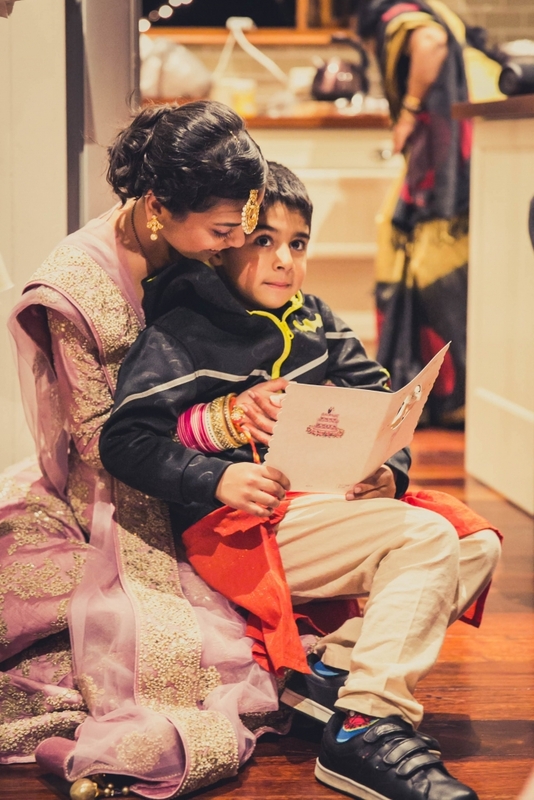 It wasn’t quite until Anahita had to move to Australia though that Shishir started developing close feelings for her. 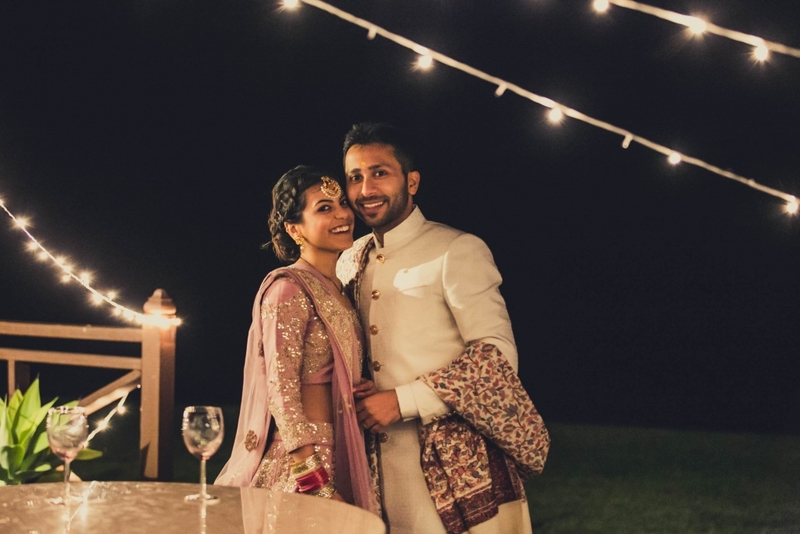 Unfortunately he could not leave India so soon, but come January 2018, the two of them were reunited and sparks flew. 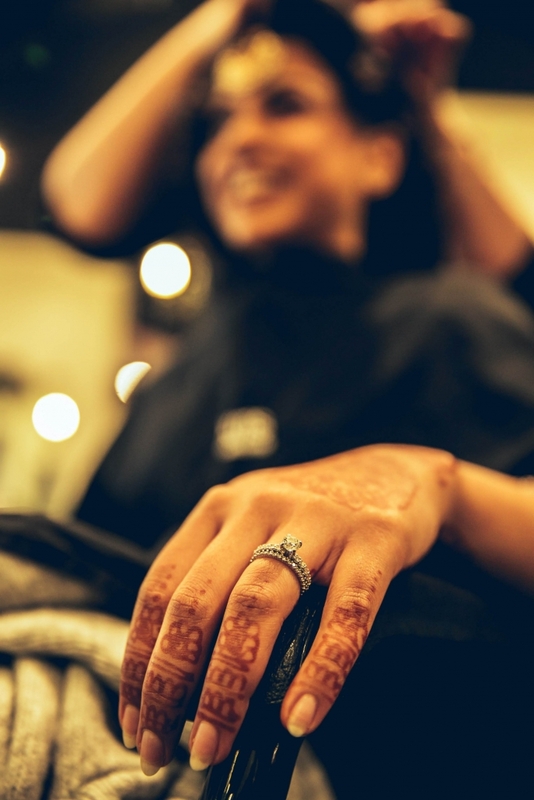 The proposal soon followed with the both of settling on the intimate winter wedding idea. 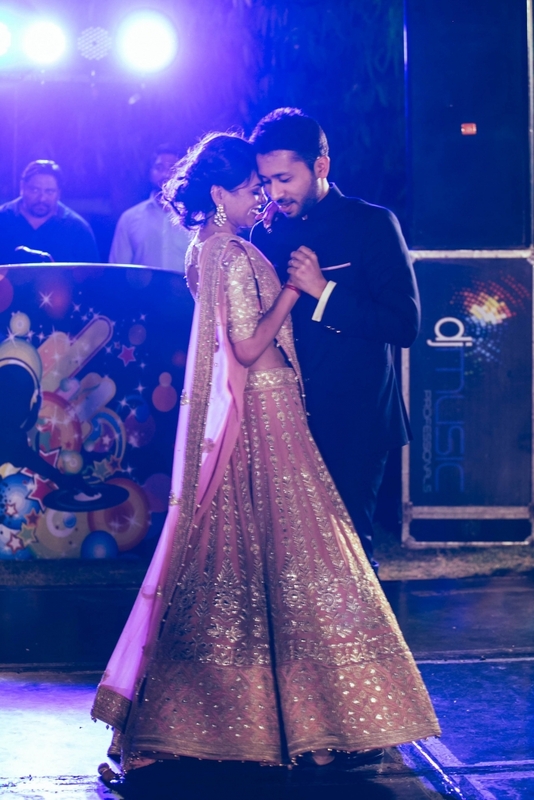 The words ‘intimate’ and ‘Hindu wedding’ don’t often gel, but when Anahita and Shishir organized their fusion Punjabi wedding, they knew that this would be a wedding which would be celebrated amongst only close family and friends. 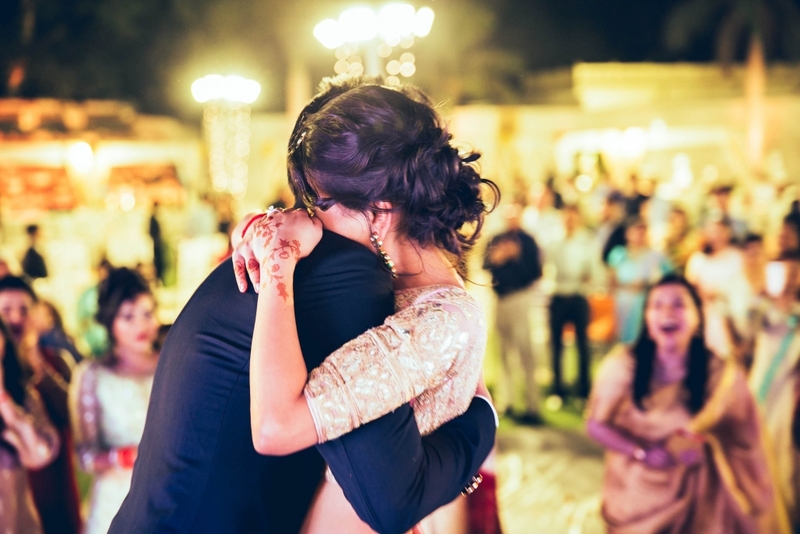 “We always wanted a small wedding, just with the close ones. 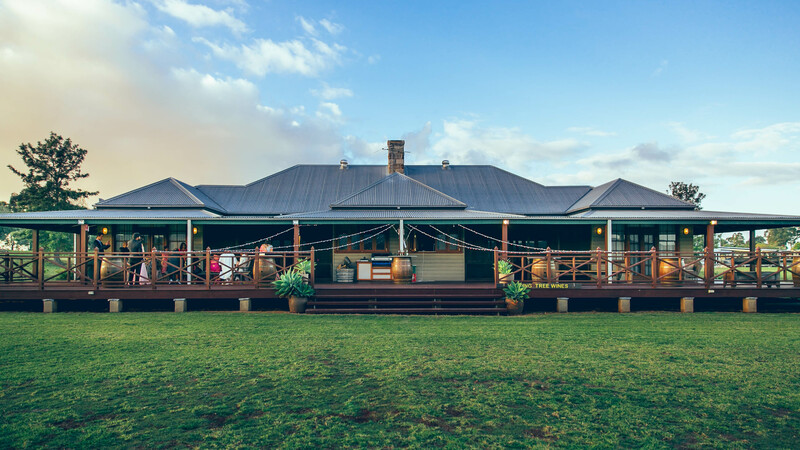 Australia and Sydney in particular, is gorgeous during the winter season. There’s a slight chill in the air, yet a lovely and cozy warmth under the sunlight. 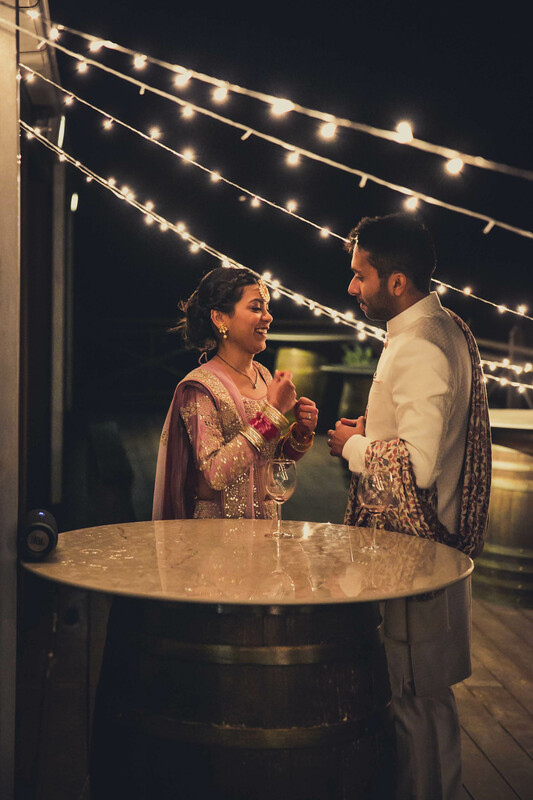 Wedding décor was kept simple with fairy lights on the deck, barrels of wine and minimalist mandap. 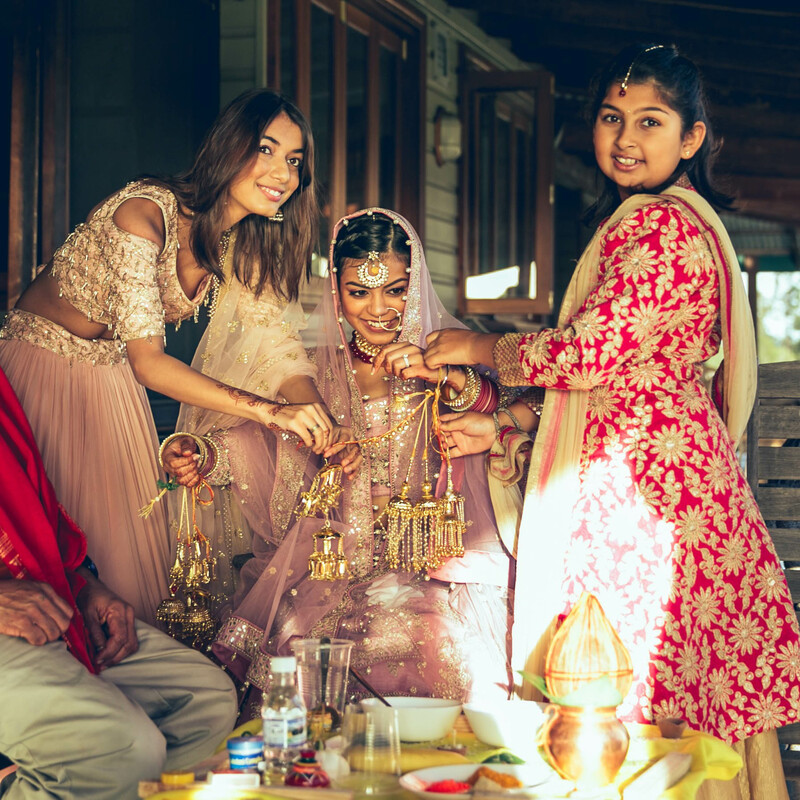 Anahita goes on to explain that without their families, the intimate winter wedding wouldn’t have been possible. 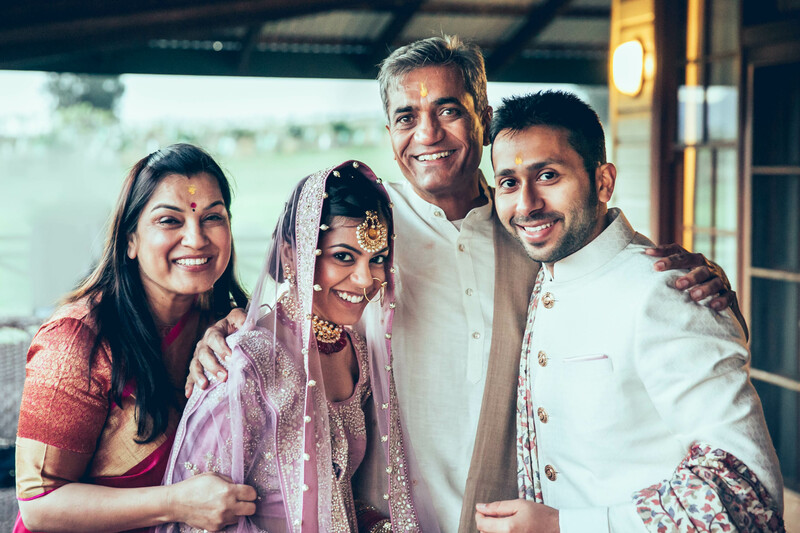 “We had both sets of parents, siblings and godparents present through thick and thin. 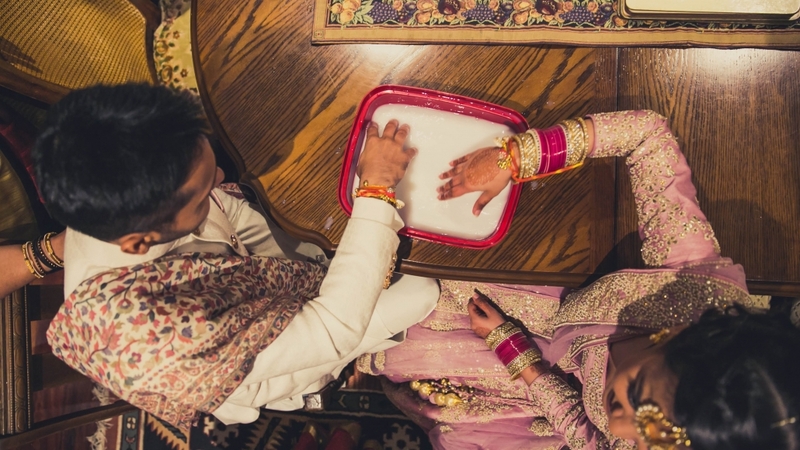 All of them had one or the other important tasks for the wedding. 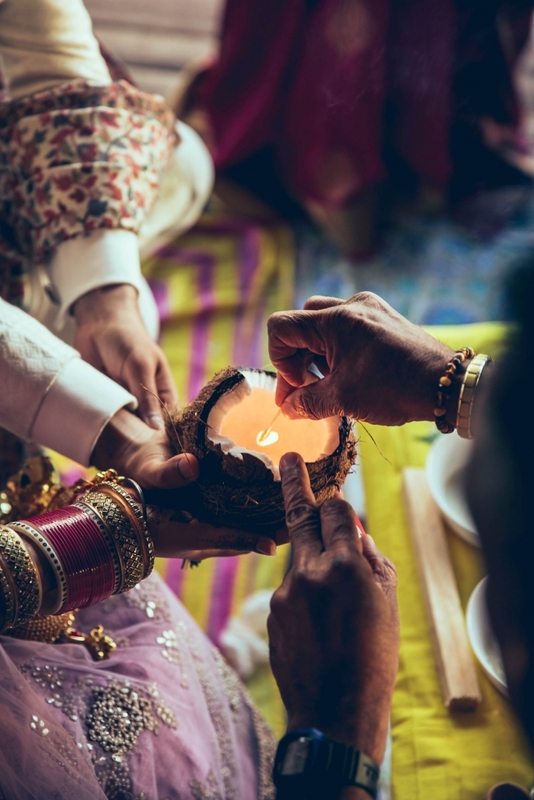 From the attire to setting up the mandap and to handling the very difficult conversation back home about the wedding being a closed and intimate affair, they all did a magnificent job. 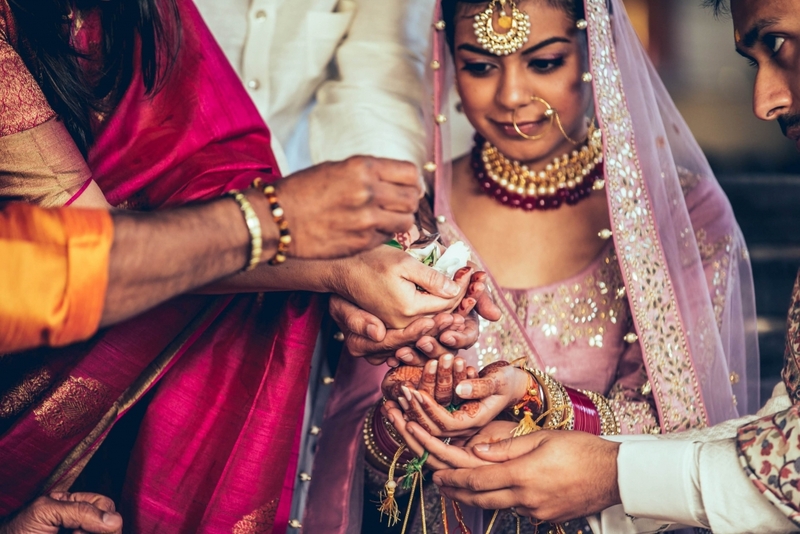 The couple planned the entire wedding whilst in the final leg of completing their Masters degrees and in between finalizing the details for their next move to Toronto, Canada. 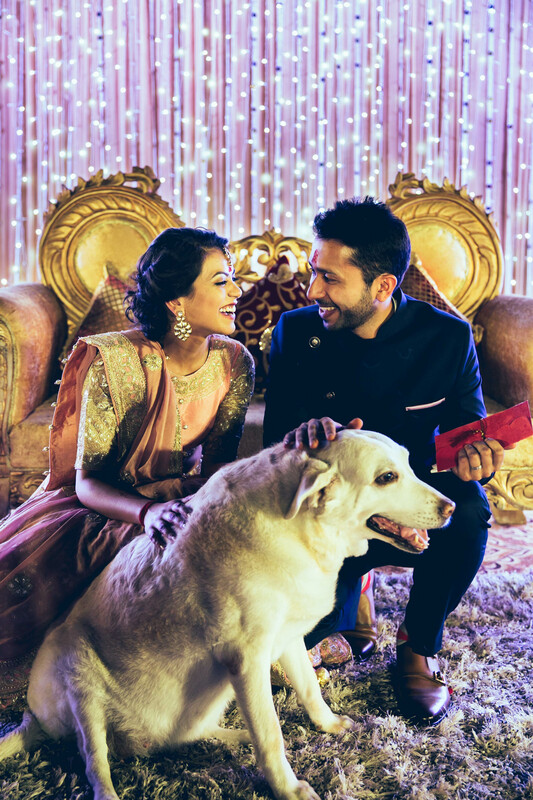 Anahita also mentioned that her beautiful dog, Hazel was the official guest of honour. 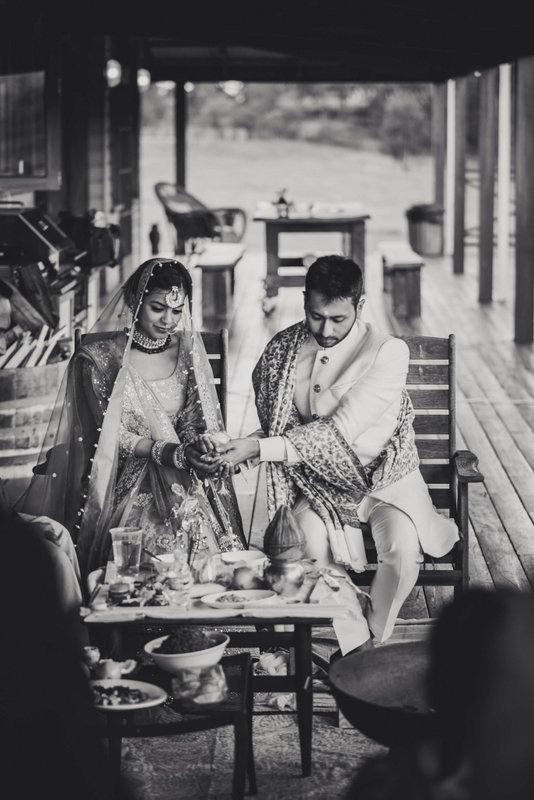 Anahita and Shishir took the opportunity to have some beautiful photographs captured around the property. 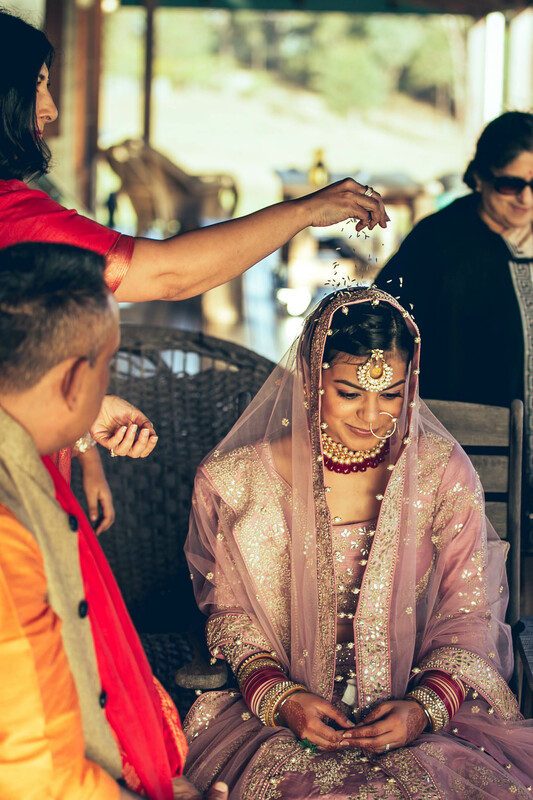 Anahita explained that the pre-wedding shoot ended up taking place post-wedding due to a heavy amount of rainfall prior to the wedding day. 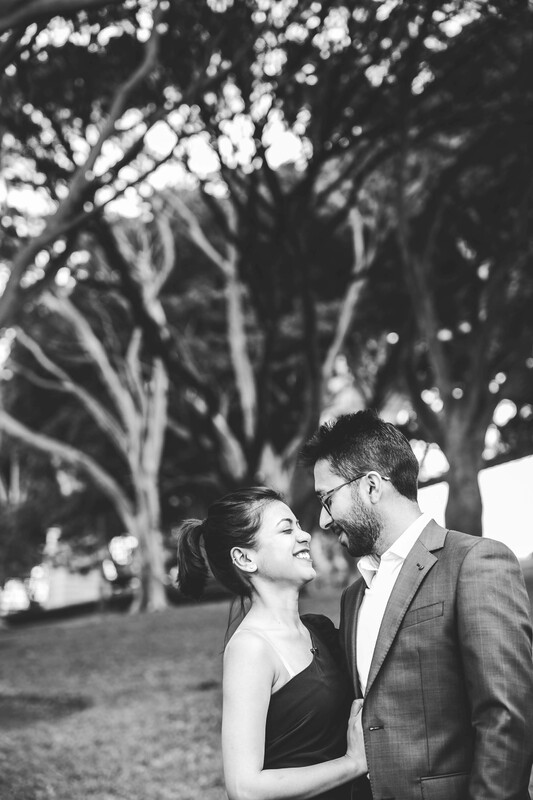 Part two of the wedding shoot took place under Sydney’s iconic Harbour Bridge. 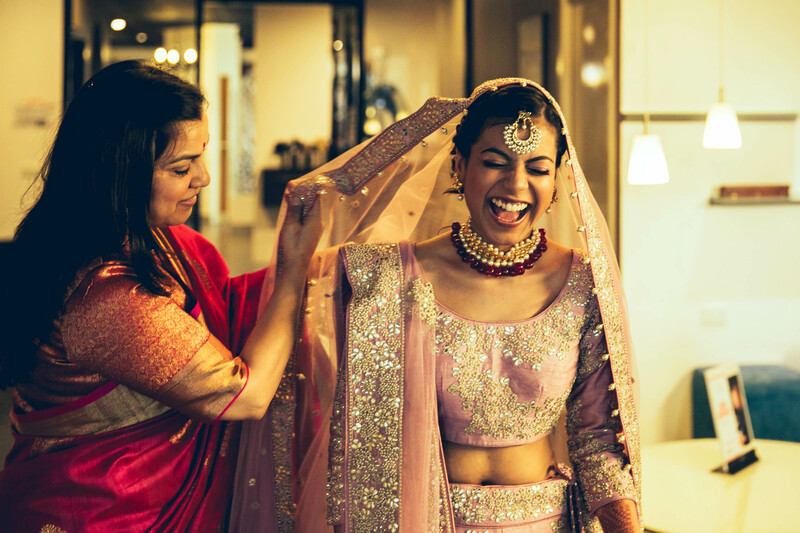 For Anahita, it was a difficult to decide on a colour for her wedding lehenga. 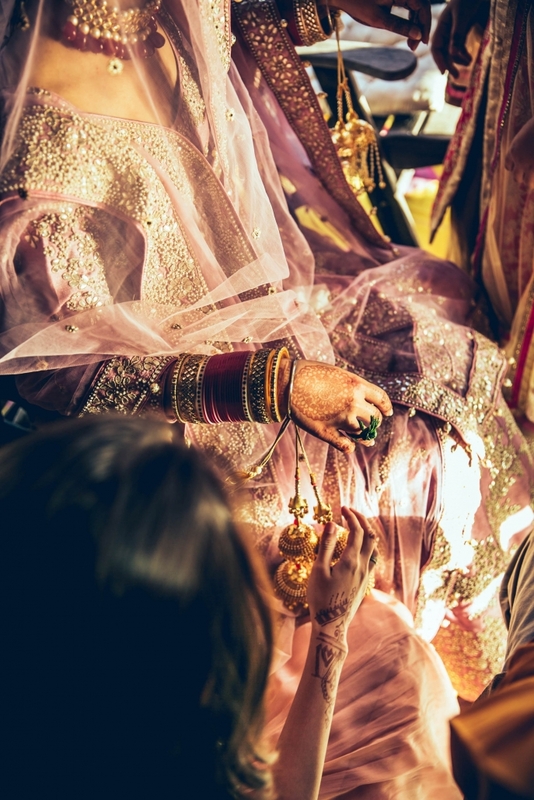 It wasn’t until a venue inspection, that she finally set her heart on the colour of the sky on that particular day, which consisted of stunning mauve tones. 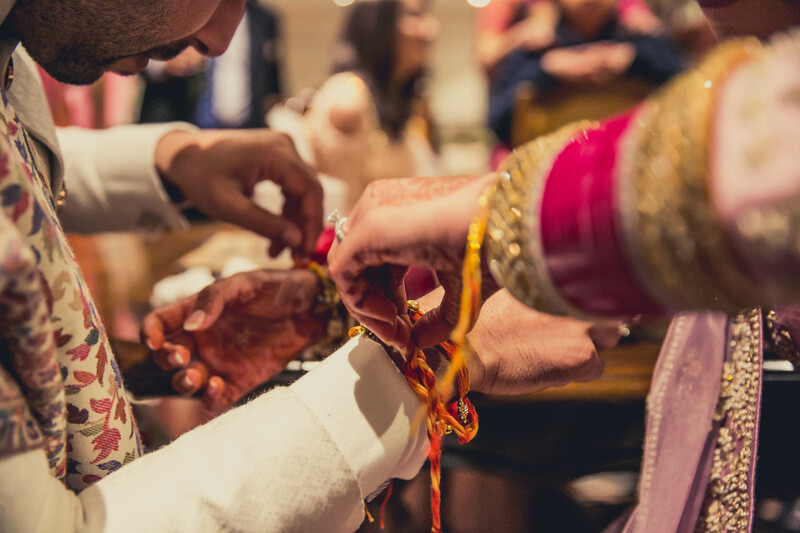 A subtle tone, the ensured that everything flowed on that day. 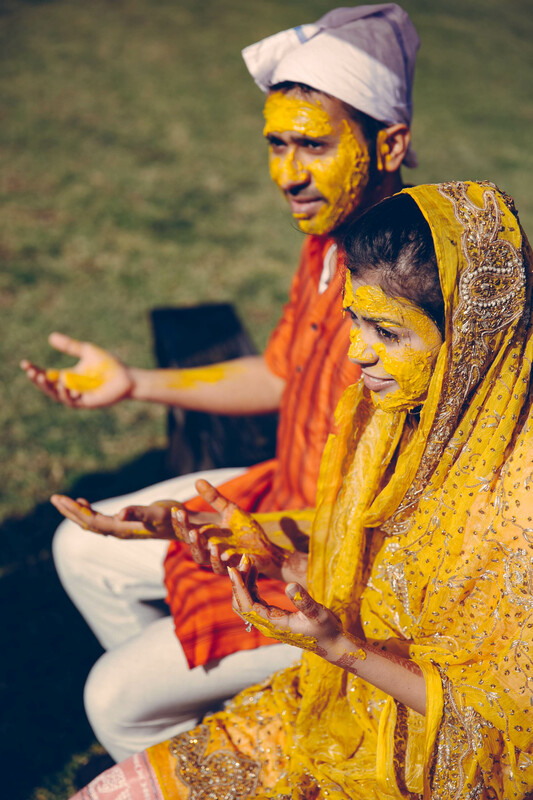 The guests were also encouraged to dress in this colour. 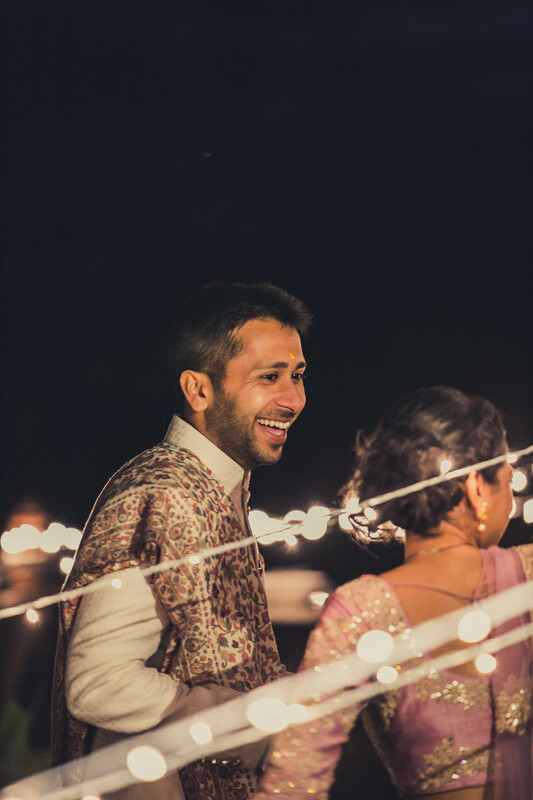 Groom, Shishir went against the norm and opted for a plain white bandhgala as opposed to a traditional sherwani. 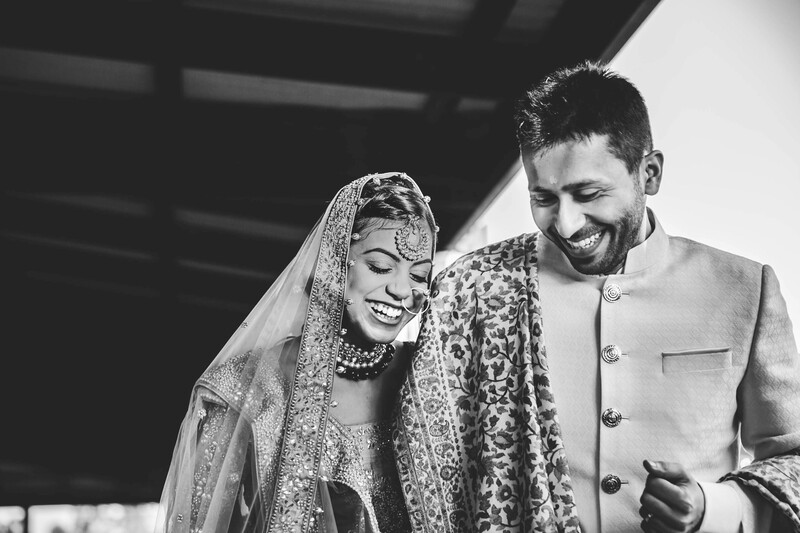 Anahita goes on to express her love for Shishir’s look on the day. 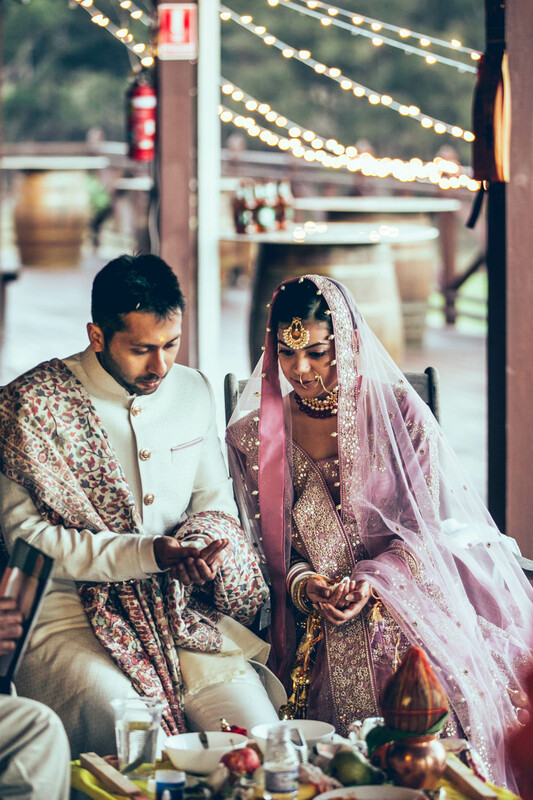 For their beautiful intimate winter wedding, Anahita and Shishir had to communicate with their suppliers over WhatsApp and Skype conversations. 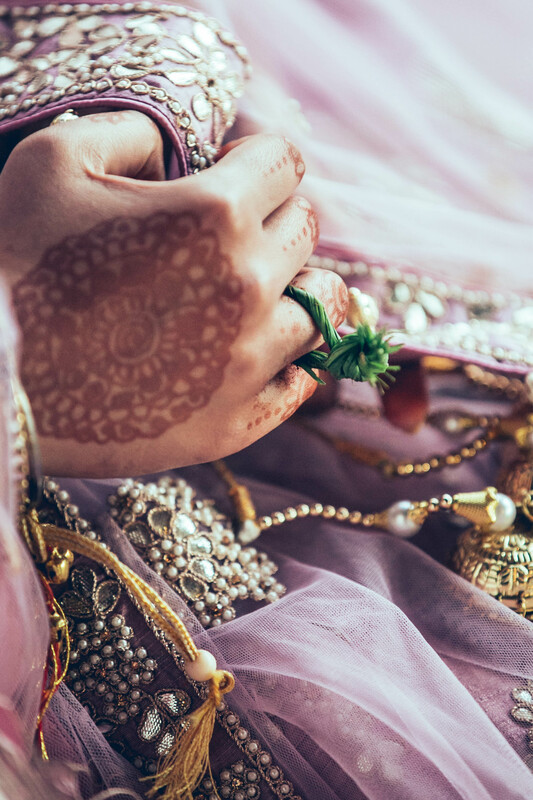 Timing was difficult and bride, Anahita mentioned that one vendor went to the extent of crying because she couldn’t make it to a fitting. 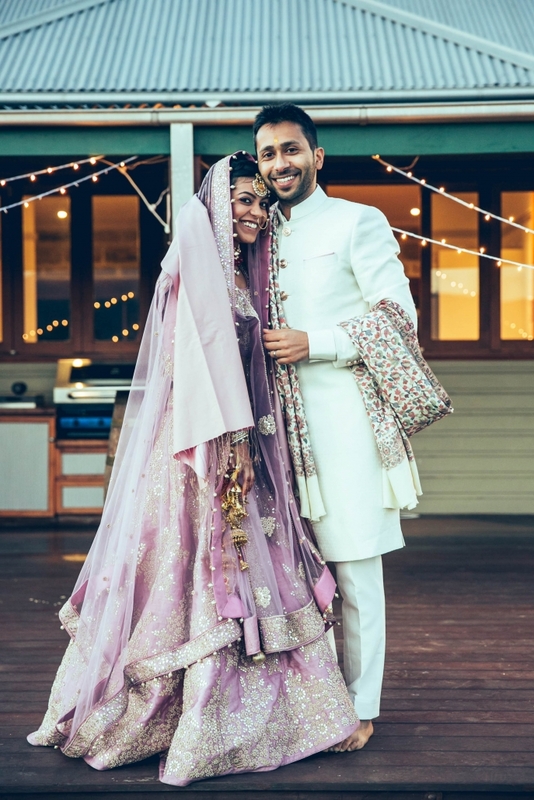 She even went out to the shops to purchase measuring tape just so that they could provide accurate measurements to the tailor. 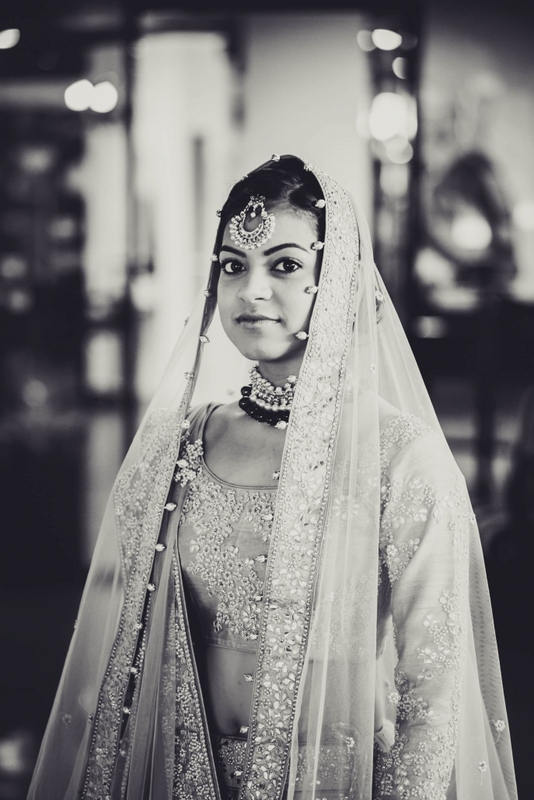 There was also a story behind the dupatta, the day before the family flew out from India! 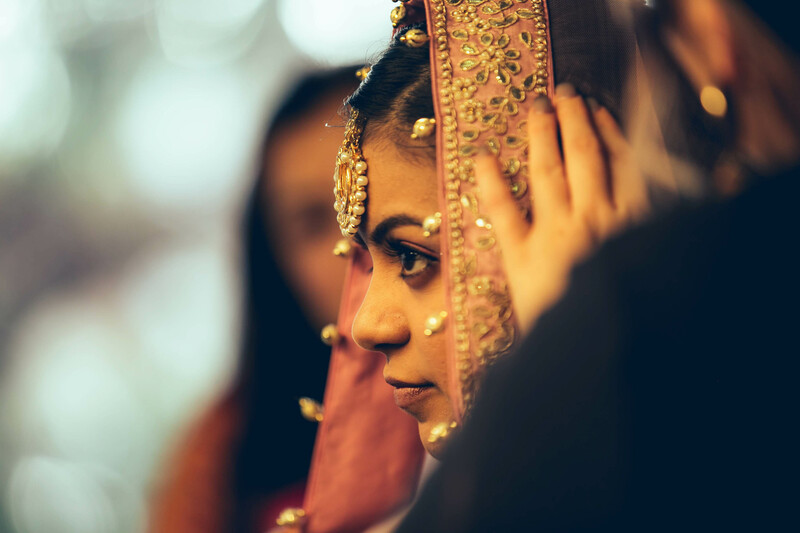 Anahita and Shishir’s wedding was truly romantic and there were so many beautiful and memorable moments. 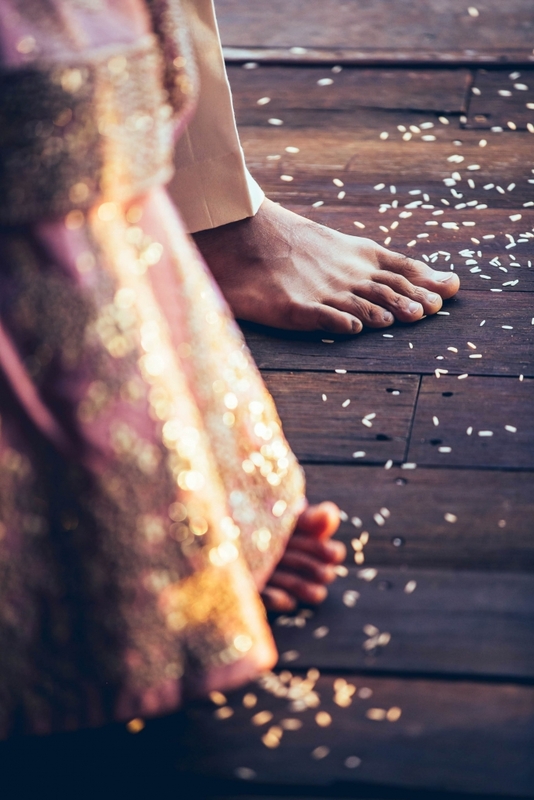 “The day of the wedding, after we wrapped up and bid our farewells, we took a stroll across the deck. It was so foggy and zero degrees outside. We turned off the fairy lights, and then a think blanket of fog engulfed the deck. As we looked up to the sky we could see the star constellations and entire milky way too. It was the most magical thing we had ever seen. I don’t have the words to describe the feeling at that moment. 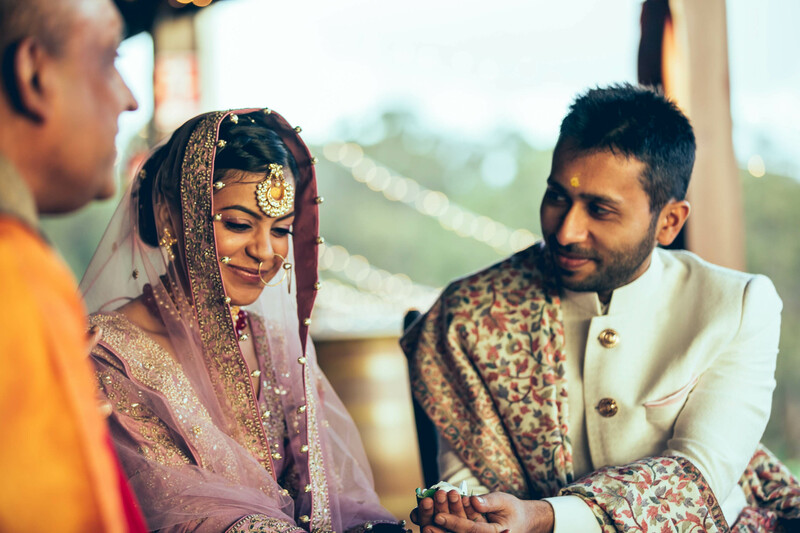 The couple were particularly grateful for their photographer, Nikhil for being more than just a photographer on the day of the wedding. 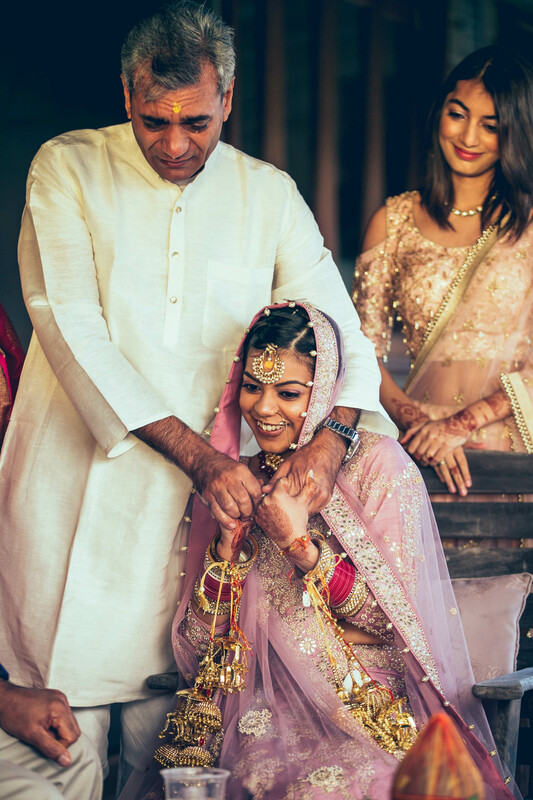 “A big shout out to our photographer, Nikhil who more than just being a trusted friend, he ran around, pillar to post completing chores, capturing shots, ensuring we were okay and of course, driving me around to the nearest town to get ready (he only did the back and forth like 5 times to get stuff I would always forget). 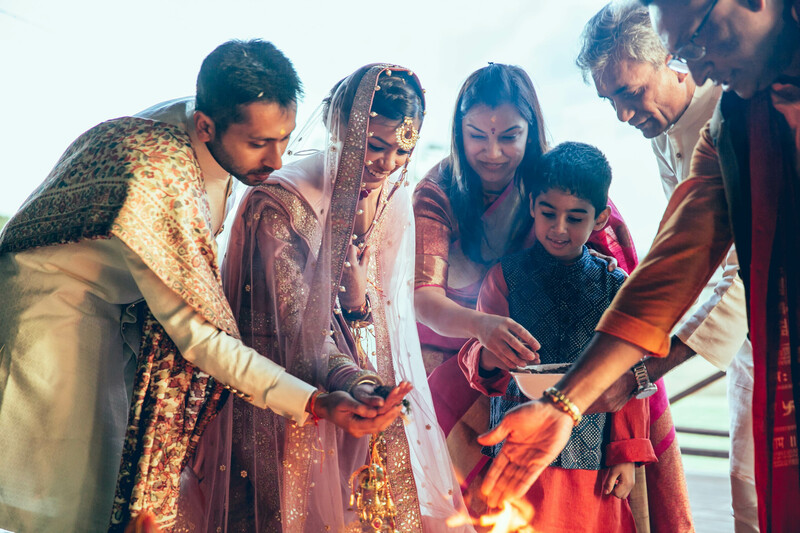 Bride, Anahita has left us with such valuable advice for future couples. 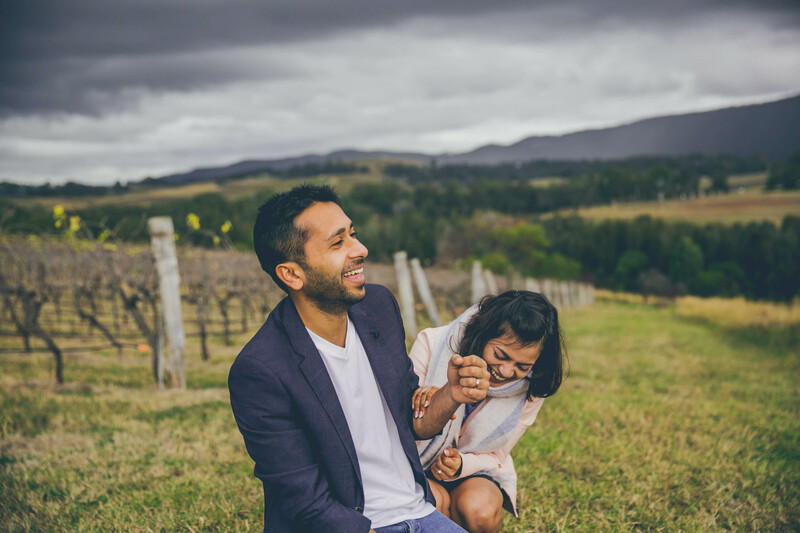 Anahita and Shishir will be hopping around Europe some time next year, just in time for Shishir’s 30th birthday party, in true fashion, exploring off the beaten path destinations. 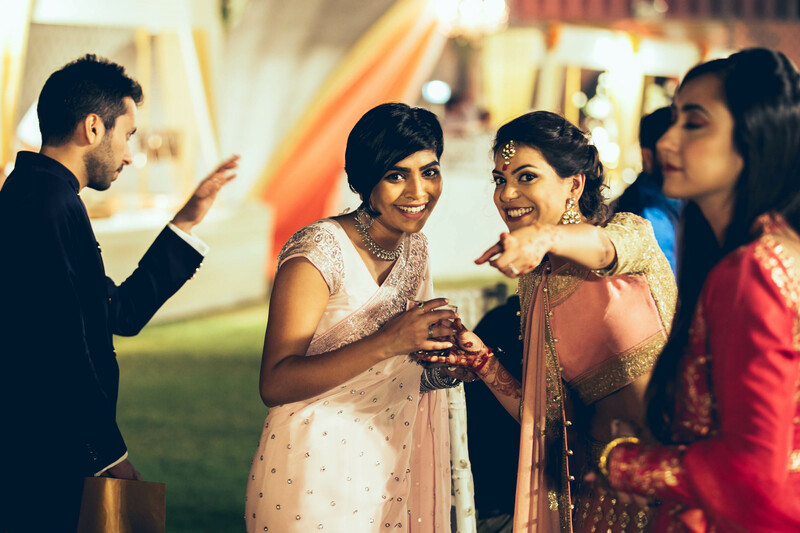 Thank you Anahita and Shishir for inviting us in to your special day. 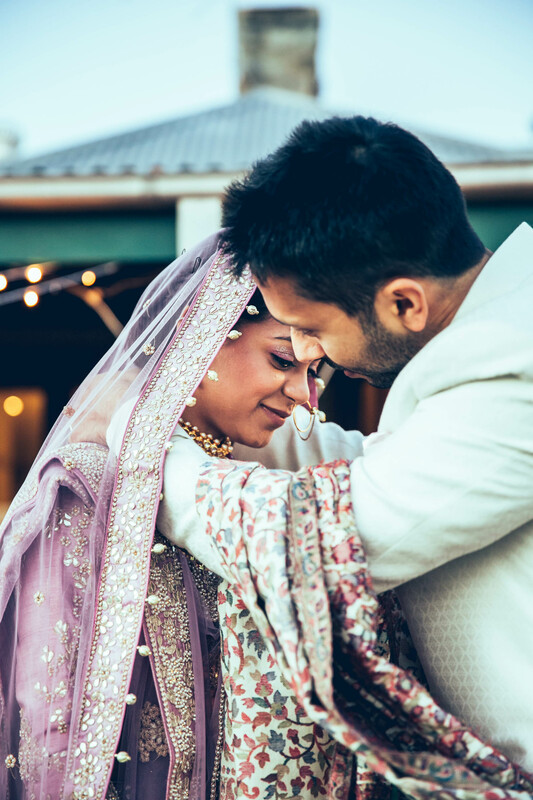 We love how you captured your relationship in this intimate wedding and the fact that it’s in the Hunter Valley region, makes it all the more special. 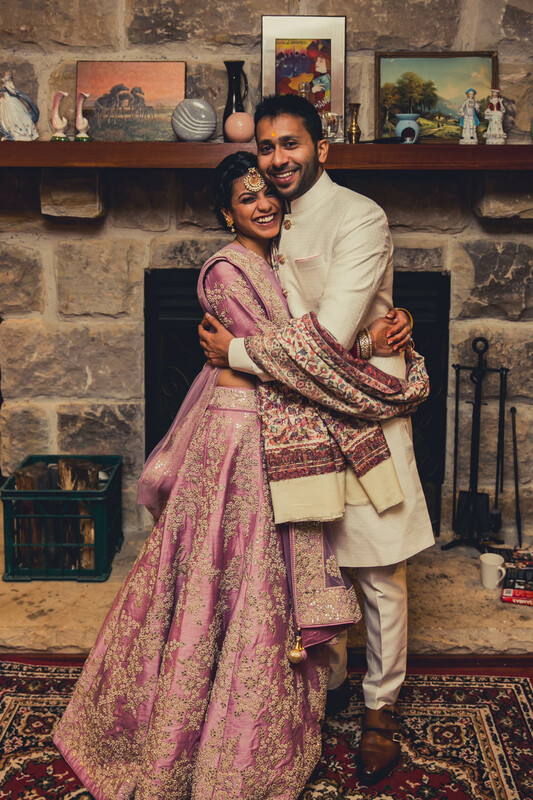 Best wishes to the both of you! 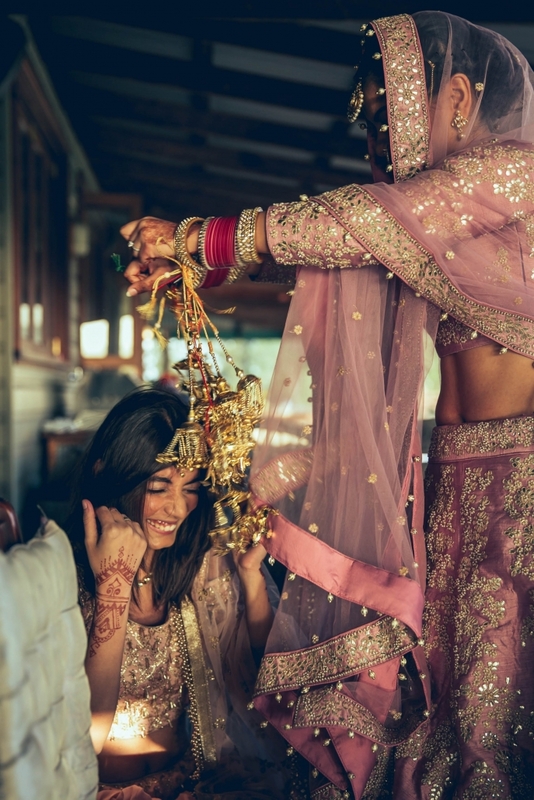 Such a beautiful story 💕 I will never stop admiring the colors of an Indian wedding, simply just magical! P.S. Is the name Shashir or Shishir? Both have been used multiple times on this post. 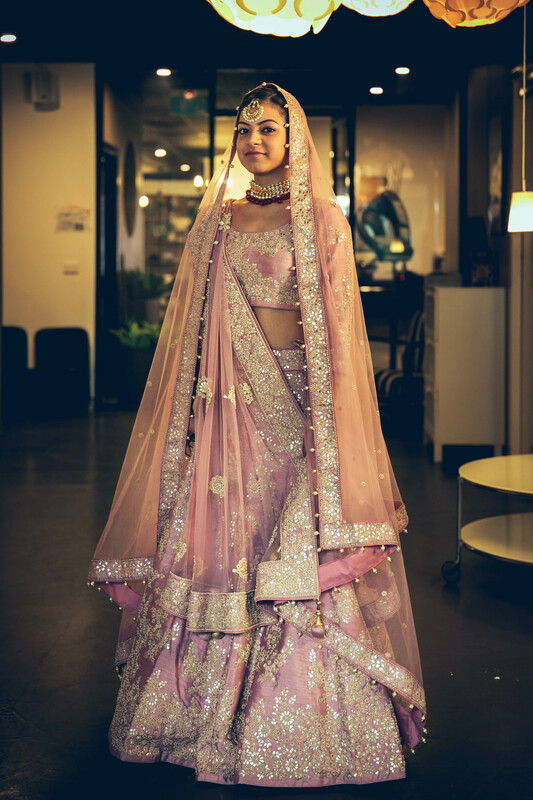 Yes, the photography is beautiful and we are also in love with the lehenga, bride Anahita chose to wear on her big day. 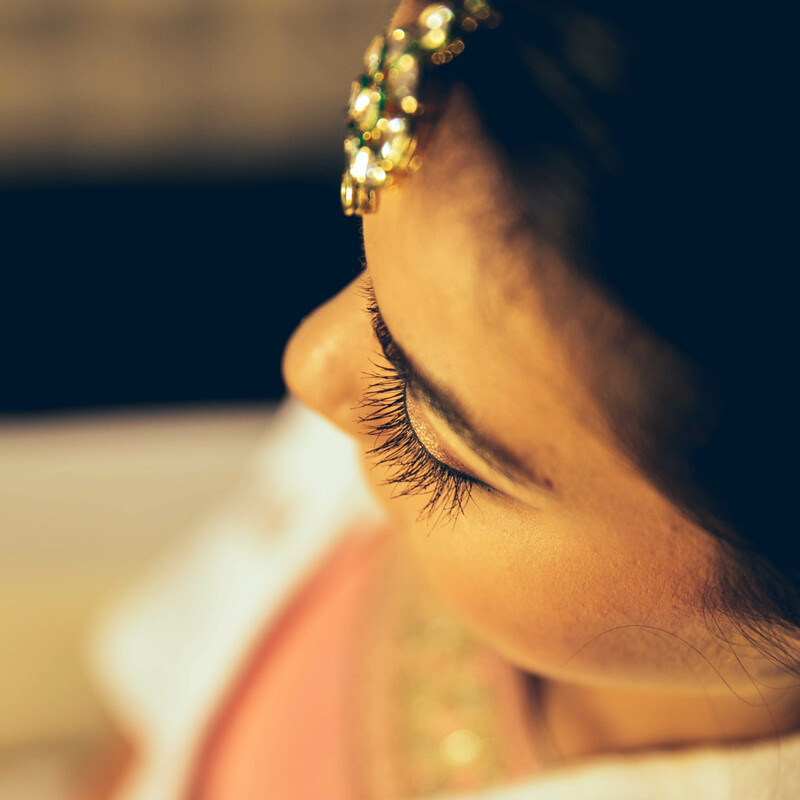 This was a lovely blog and it was nice to know about your wedding which sounds beautiful.